This feature is currently provided as a beta release. 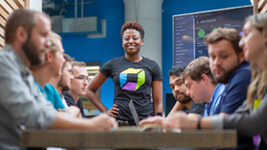 The next generation of the Dynatrace AI engine delivers smarter, more precise answers along with an increased awareness of external data and events. To enable the new AI engine, select Problems from the navigation menu. Then, click the Switch to next generation AI button on the in-product teaser. Once enabled, you can switch between the previous version and next generation causation engines (current and enhanced engines). 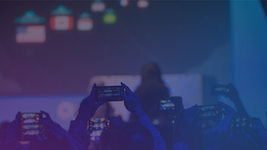 This enables you to try the new AI engine without risk and to provide feedback before the next generation AI engine becomes the new standard. Click the Browse [...] menu in the upper-right corner. Click either Switch to new causation engine or Revert to previous AI engine. The new AI engine automatically checks all component metrics for suspicious behavior. This involves the near real-time analysis of thousands of topologically related metrics per component and even your own custom metrics. You can integrate all kinds of metrics by writing custom plugins, JMX, or by using the Dynatrace REST API. The new AI causation engine seamlessly analyzes your custom metrics along with all affected transactions. 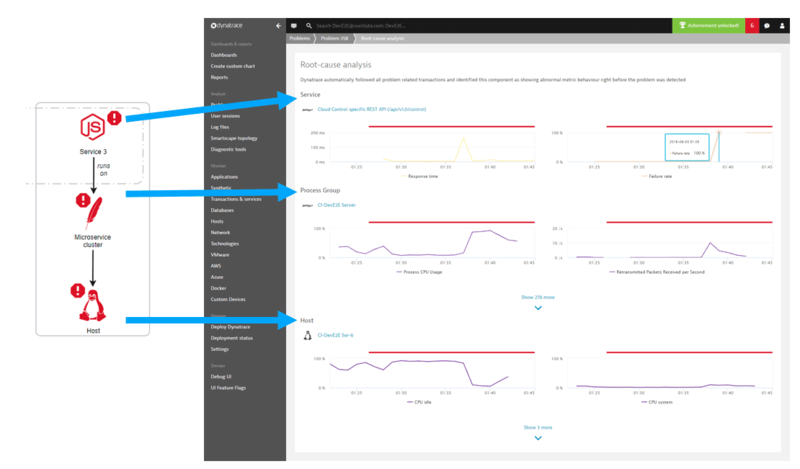 It’s no longer necessary to define a threshold or to trigger an event for your custom metrics as Dynatrace AI automatically picks up metrics that display abnormal behavior. 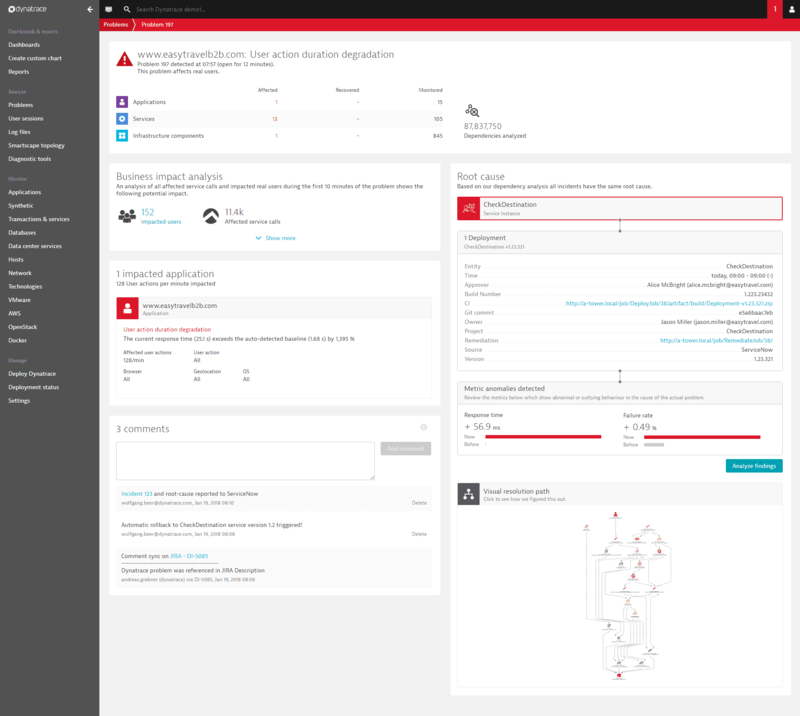 While the current Dynatrace AI doesn&apos;t consider external events for root-causes, the new Dynatrace AI seamlessly picks up any third-party event along the affected Smartscape topology. In many cases, the shutdown or restart of hosts or individual processes is the root-cause of a detected problem. The newly introduced availability root-cause section summarizes all relevant changes in availability within the grouped vertical stack. 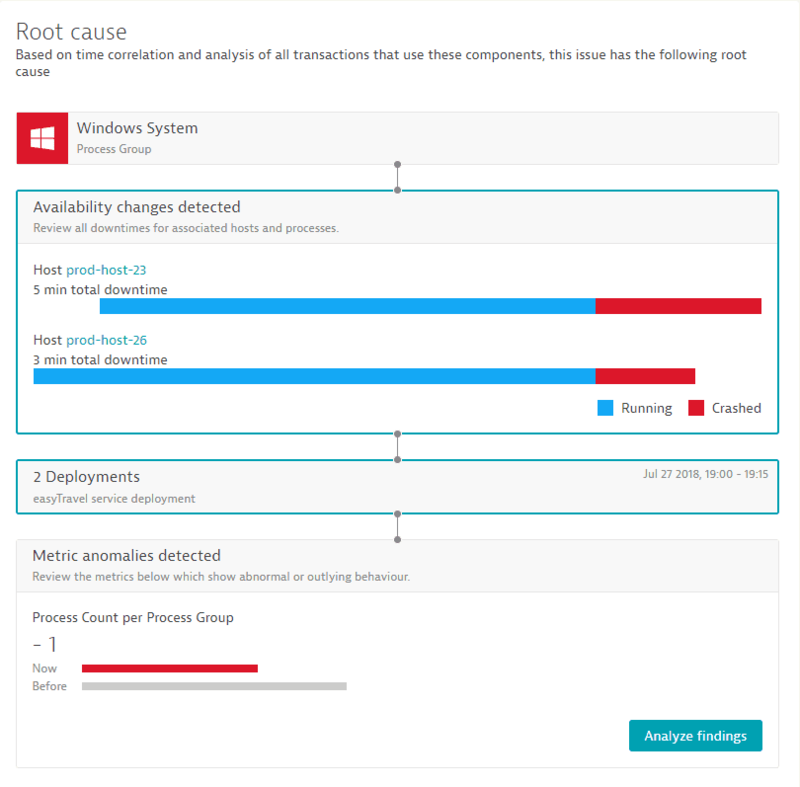 To date, each problem details page presented root-cause candidates as individual components, even when the affected component was a single process or a subset of processes within a larger cluster. The improved root-cause section still displays up to three root-cause candidates, but those candidates are aggregated into groups of vertical topologies. This allows you to quickly review outliers within affected service instances or process clusters. The following sections explain these improvements in greater detail. The original root-cause analysis depends on events to indicate an unhealthy state of a given component. An example here is a baseline-triggered slowdown event on a web service or a simple CPU saturation event on a host. 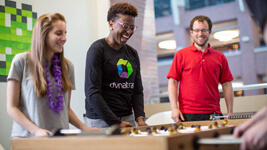 Dynatrace detects more than 100 event types on various topological components that are raised either by automatic baselining or by thresholds. Whenever an event is triggered on a component, the AI root-cause analysis automatically collects all the transactions (PurePaths) along the horizontal stack. The analysis automatically continues when the horizontal stack shows that a called service is also marked unhealthy. 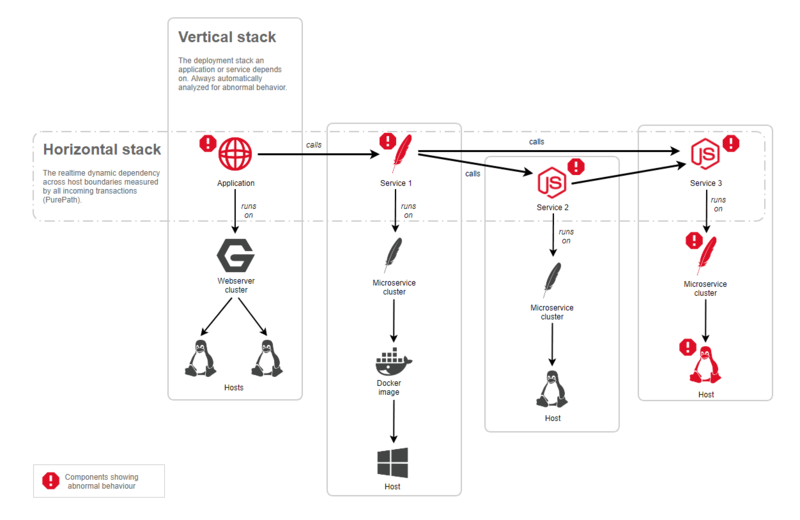 With each hop on the horizontal stack, the vertical technology stack is also collected and analyzed for unhealthy states. This automatic analysis has been proved to be highly superior to any manual analysis. One of the problems that the enhanced root-cause analysis solves is that this approach is highly dependent on single events. Every host comes with around 400 different metric types and timeseries depending on the number of processes and technologies running. 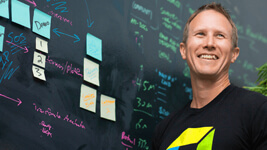 That means that 10K hosts result in 4,000,000 metrics in total. Every threshold you set on a metric or even the best automatic baseline observed over a period of time means ~1% false positive alerts. 1 false positive alert on a host does not sound much but it also means 10,000 on 10K hosts! With the growing number of metrics per component, we must expect a proportionally higher number of false positive alerts, which leads to alert spam. It’s obvious that additional or more aggressive thresholds or even baselines on all those metrics is not a solution. AI 2.0 solution: analyze all problem-related metrics proactively within the root-cause detection process. 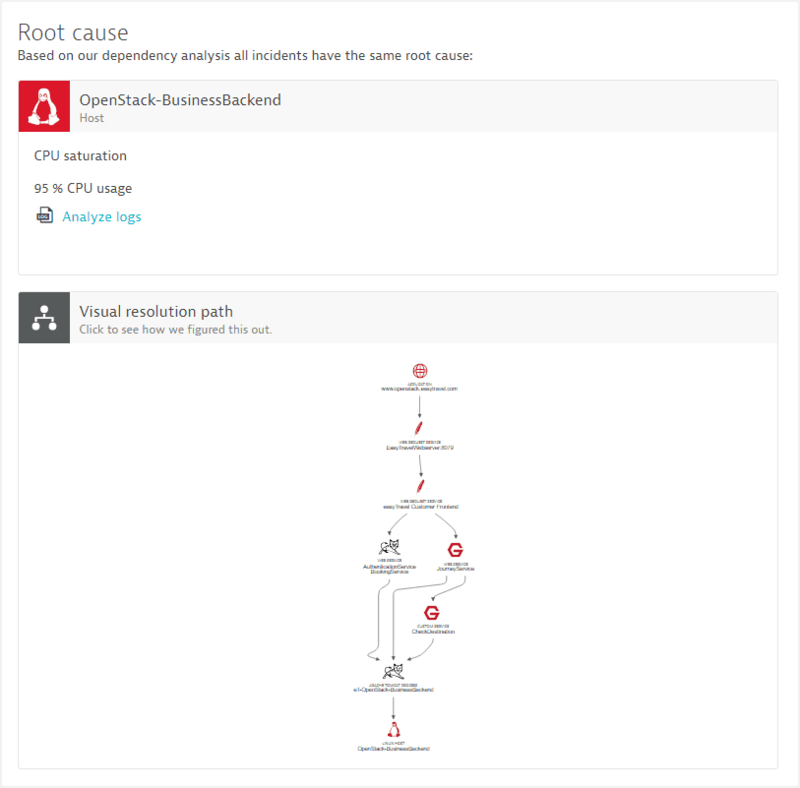 To tackle the challenge of the increasing number of metrics the new root-cause analysis automatically checks all the available metrics on all the affected components. Suspicious metric behavior is detected by analyzing the metric value distribution in the past and comparing it with the actual metric values. Therefore, the new analysis is no longer depending on events and thresholds. In case an event is present or a user defines a custom threshold, this is still included in the root-cause process. To sum up, the new root-cause analysis is based on a hybrid approach that can detect root-cause even if there is no open event on a component. Another improvement within the new analysis is the detection of grouped root-causes. While the old analysis detected root-cause candidates on individual components rather than on group level, it always led to an information explosion in case of highly clustered environments. Imagine a case where you run 25 processes within a cluster to serve a microservice. 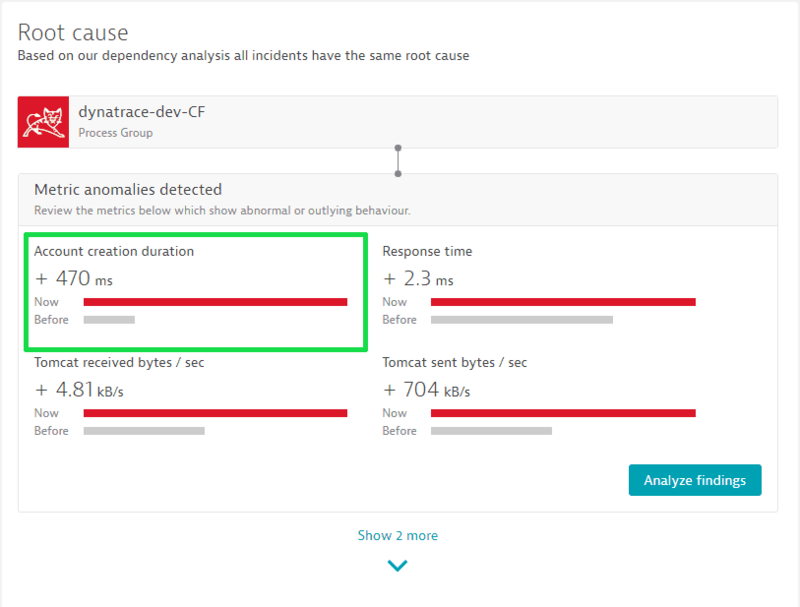 If some of the processes are identified as root-cause, the Dynatrace root-cause section displayed individual instances rather than explaining the overall problem. The new analysis identifies root-cause candidates on group level to explain the overall situation, such as a set of outliers within a large cluster of service instances. While the problem details screen just shows a quick summary of the top contributors, a click on the Analyze findings button opens a detailed analysis view. The root-cause analysis view is capable of charting all affected service instances in a combined chart along with all the identified abnormal metrics. This drill-down view is organized to show an identified root cause as a grouped vertical stack, which means that the top layer always shows service findings followed by the process group findings and finally all host and infrastructure findings. 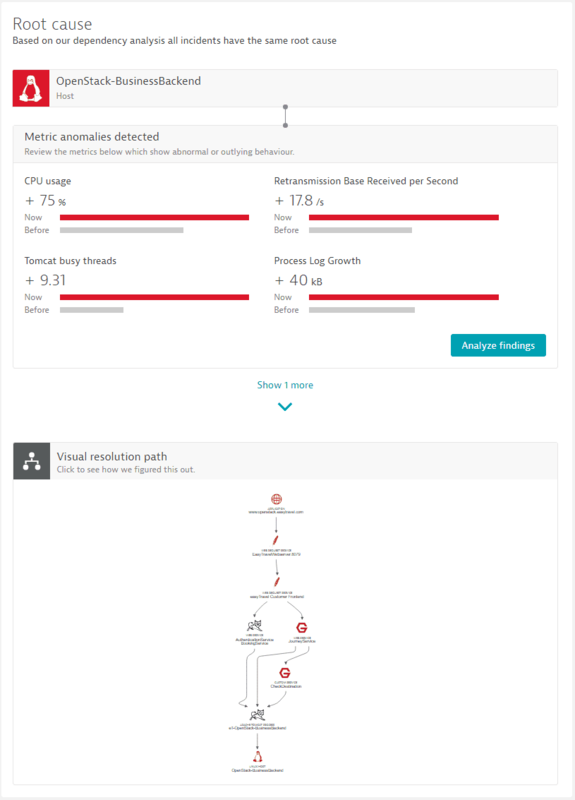 By introducing the next generation of the Dynatrace AI engine, we&apos;ve further improved the strengths of the existing automated root-cause detection. 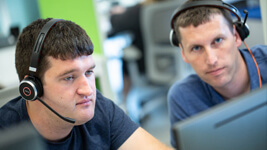 Well-proven aspects such as business impact analysis as well as the PurePath-based analysis of single incidences are unchanged while improvements such as metric anomaly detection, custom events, and custom metrics have been seamlessly integrated. 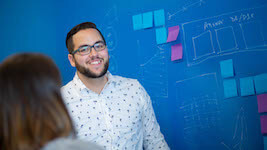 Overall, these improvements have pushed the boundaries of automatic AI based root-cause analysis into the future and have opened up Dynatrace as a platform for third-party integrations.